Moving Company Helps You Get Rid Of An Abusive Partner For Free? 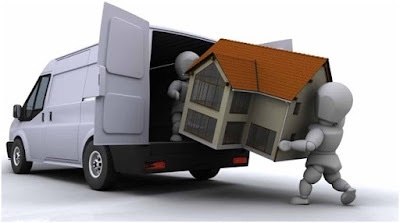 A moving company Qatar like Storage in Qatar is more than a firm that moves you from one place to another. A moving company provides a solution to your one major issue that holds you back from moving to a new place- “how to wrap up things and children and get them moving in such a short time?” Don’t you agree? And when you contemplate, a moving company helps you get rid of an abusive partner- for free and live your live without compromising on your freedom. How abusive relationship makes moving to a new place, a behemoth and often an impossible task? Relationships tug on to an emotional pull. Relationships involve psychological strands. And when it turns out be an abusive relationship, these psychological strands and emotional pull makes it difficult to escape. Also adding on to leaving an abusive spouse or partner is the actual, physical task to pack up and move when you are already emotionally distressed. So how to meddle the anomalies and move for a better future? It is here, when a reliable moving company acts as an element of salvation. We know how hard it is to pack up and move to a new location during stressful situations like when you want to leave the everyday abuses behind and start afresh. In fact it is inconceivable to imagine a woman and her children struggling to pack up all their belongings and leave before the abuser returns home. Storage in Qatar is a moving company Qatar that you can rely on every time to proceed towards a new life while we take care of yourpacking and moving worries in a jiffy!